A famously haunted family home in southwest Florida is gone up for sale at £1.59 million. 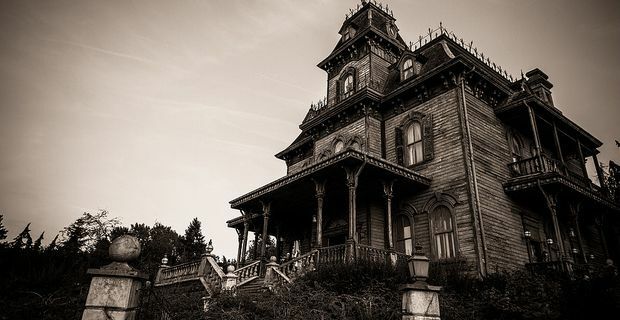 Brave perspective buyers are currently viewing the nineteenth century Victorian-style home, while current owners reassure the paranormal activities in the house are 'harmless'. The history of Punta Gorda's haunted home is well documented: former owners over time have filed documents regarding paranormal activities in the house and current owners Natalie and Vandy Wynn were alerted to the presence of a ghost when they first bought the historic home back in 2001. Ever since, the Wynns have lived at the Punta Gorda home with their 7 children, and are now trying to sell it at £1.59 million, paranormal activities being considered an added value. After all, the ghost is harmless and if this all-American family managed to live with it for more than a decade, then anyone can... or so they think. The house was first built in 1893 by an early settler and businessman named James Sandlin. The Sandlins unfortunately were victims of a number of tragedies, above all the dramatic death of their daughter Mary Leah. It is her ghost, dubbed 'Scary Mary', which apparently still haunts the house some 105 years later. Natalie and Vandy Wynn shared stories of their ghost encounters with local media, pointing out that paranormal activities consist mostly in shaking chandeliers, footsteps up and down the stairs and across the hallway upstairs where Mary's bedroom was, and the occasional tug-of-war with a closet door that just wont stay shut. The story tells that 14-year-old Mary Leah Sandlin was ironing on the porch with a gasoline-heated flat iron, commonly used until World War I, when accidentally her cloths ignited and she fled screaming down the street ablaze. The girl died from her injuries shortly after. And apparently her spirit is still lingering in the house where her unfortunate family used to live. Incidentally, the iron that lead to the death of Mary Leah Sandlin is still in the house too, actually kept on display by current owners Natalie and Vandy. Mmm... I wonder if the Wynns ever considered that getting rid of the nasty statement piece may free Scary Mary from her earthly ordeal? Truth is, they don't seemed that much bothered: “She's a kid,” Natalie Wynn said of the young girl's ghost to The Herald Tribune, “I have yelled at her like I would any other kid in the house.” Fair enough.